Good friends and neighbors of ours had a celebration for their daughter Madeleine before she departed for college. For many years Madeleine had been a guitar student of Lewis McGehee, a talented and local troubadour, who performed that night. 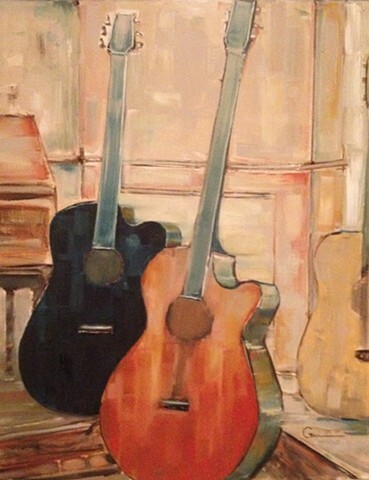 So taken by their duet-performance of the late Leonard Cohen song “Hallelujah,” I was immediately inspired to capture the arrangement of their guitars at rest.